I have been using this DIY stain remover for a few years now, and I have to say it is my go-to stain remover. This DIY stain remover really tackles all of the stains in my home. I love having a stain remover I can make for an affordable price, and be able to use it on so many different stains. 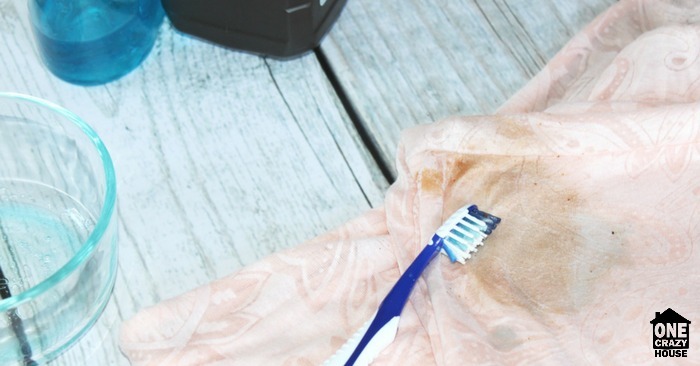 This DIY stain remover has been through many stains, and hasn’t let me down yet! It can tackle classic food stains, set-in grease, blood, car oil, yellow armpit stains and more. It is a simple mix of ingredients that you might already have on hand. If I have a really stuck-on stain, I grab a bristle brush or even an old toothbrush to help work it in the garment and really help break down that yucky stain! I had a barbecue sauce stain, that luckily hadn’t fully set in, I was able to use this stain remover on it before it fully dried. It worked like a charm, and you can’t even tell a stain even existed. This is my go-to stain remover and it is so affordable. 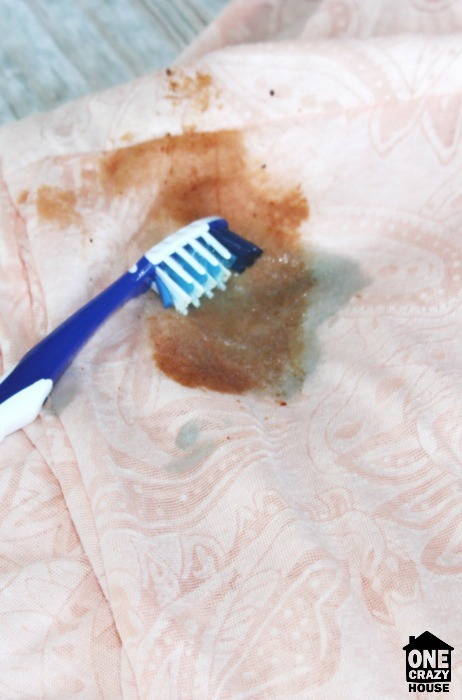 Sometimes the first go-around won’t fully remove the stain if it is pretty severe. I then simply repeat the process, and it comes out by the second wash. I do recommend to spot test on garments, to ensure it will not hurt the fabric. I recommend doing this with any stain cleaner for clothes, carpets and more. 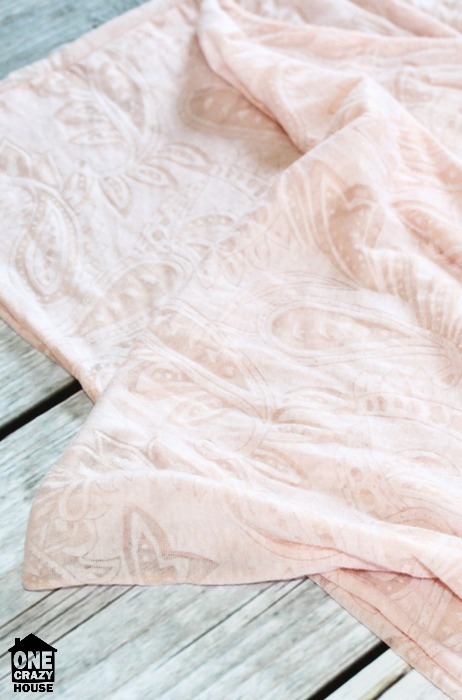 As an added bonus, here are 19 other ways to remove stains on items in your home. 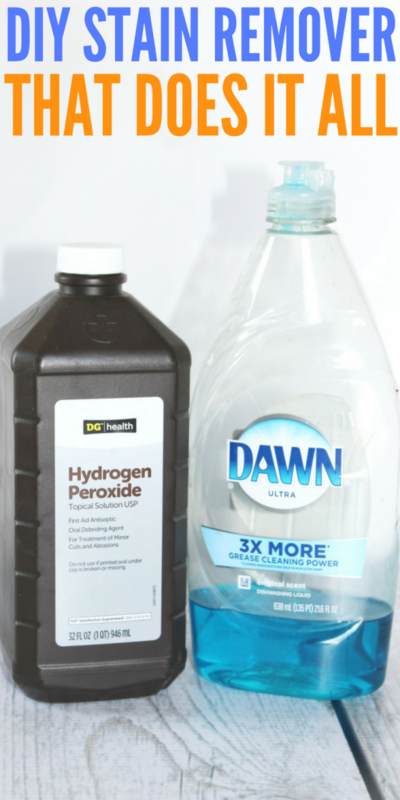 Mix the hydrogen peroxide and the dish soap together in a bowl. Pour a generous amount of the stain remover onto the stain. 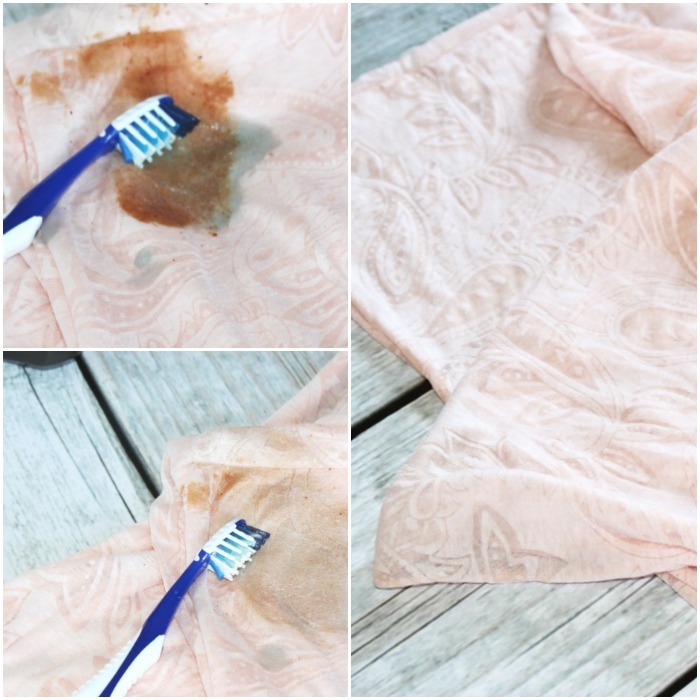 Take a stiff bristle brush or toothbrush and work the stain remover into the stained area on the garment. Let it sit for about an hour and a half. If it is a really harsh stain, leave it for even longer. Wash like normal, and then look it over to ensure the stain is gone. If the stain didn’t fully remove from the garment, repeat the process. Do not put it in the dryer, or it will make the stain set in the clothes. Any leftover stain remover can be stored in an airtight container. I generally make enough for the stain each time and try not to keep a lot of extra on hand, as it works best when it is freshly made. It is a very powerful stain remover that is gentle on your clothes. That makes it a winner in my book, and it is so affordable and easy to create. I have even used this cleaner on my carpet in our living room. It did a great job of pulling up the stain and didn’t harm our carpet. Just like with clothes, I do recommend testing an area on your carpet to ensure it doesn’t harm it. This is my go-to stain remover that I highly recommend trying.